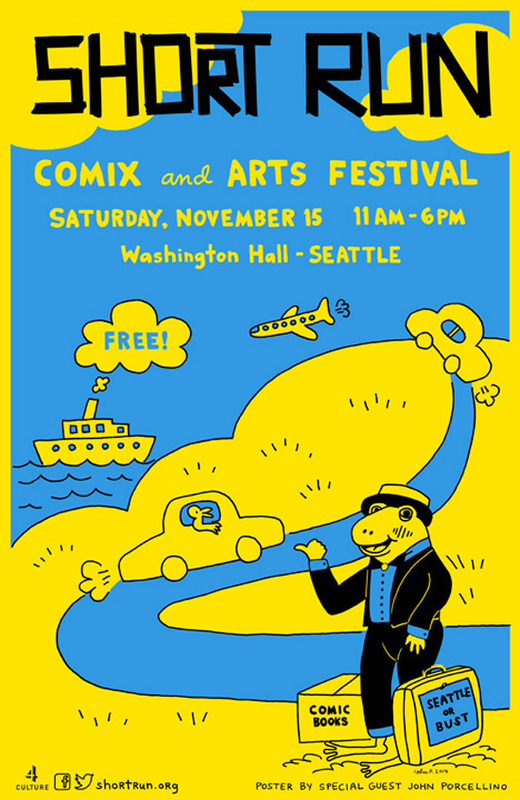 Short Run, a showcase of small press cartoonists, is back for another year of festivities and a comix and arts festival, at Washington Hall on November 15 here in Seattle. On that date, nearly 200 cartoonists, publishers, zinesters, authors, and animators will be gathered to sell their works and celebrate the world of independent and emerging artists. The full schedule of events will include a mural painted in the Central District by South African artist Jean De Wet, art shows at Joe Bar and the Fantagraphics Bookstore & Gallery, and readings, screenings, and panels across Seattle. 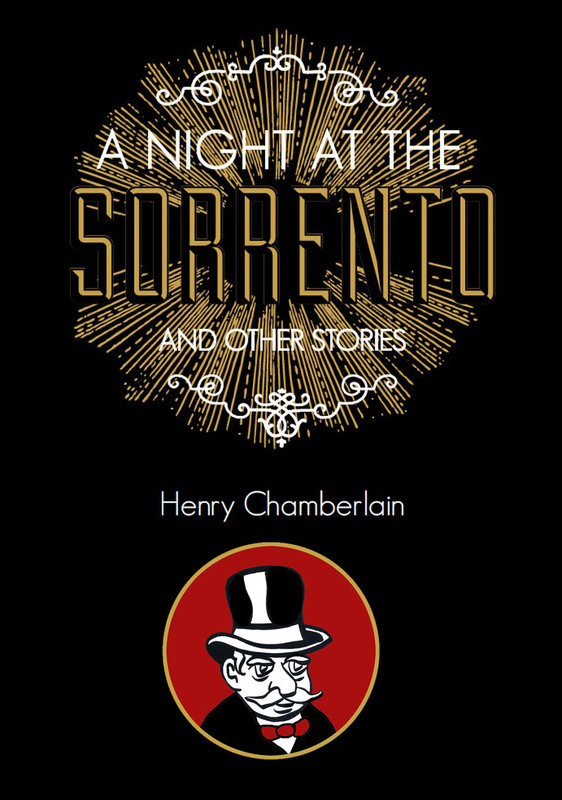 John Porcellino, known for his self-published memoir comic, King-Cat Comics and Stories, will be the guest of honor. 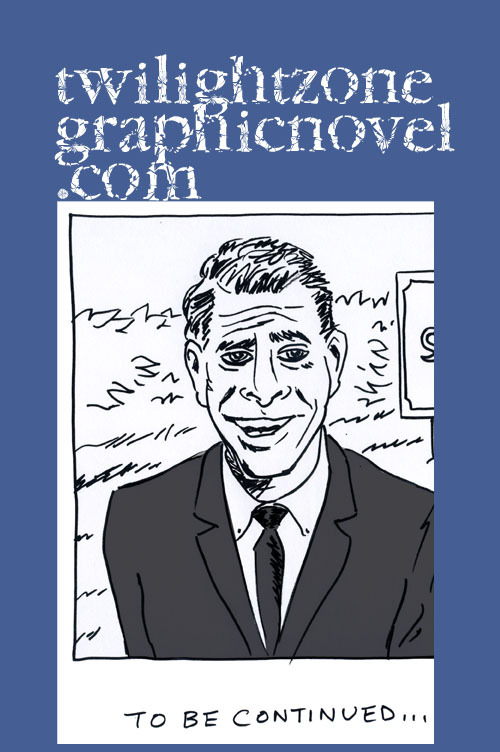 This year is special as it marks the 25th anniversary of King-Cat Comics and Stories as well as sees the release of a new book, “The Hospital Suite,” published by Drawn & Quarterly (read my review here). And there is a new documentary on his life and work, “Root Hog or Die” (read my review here). There will be a screening of this documentary with Porcellino and director Dan Stafford in attendance at Central Cinema on Sunday, November 16th. 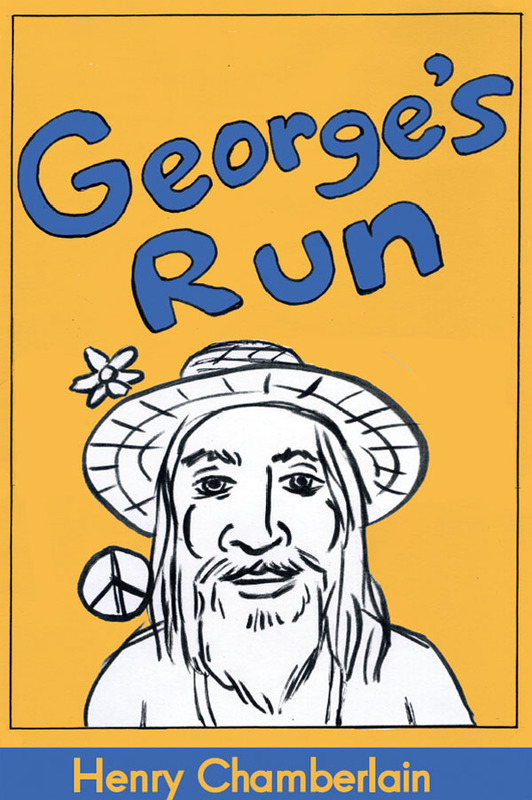 Inspired by our work with local non-profit The Seattle Globalist, and by the legacy of the late Fantagraphics co-founder Kim Thompson, Short Run has also been inspired to seek out like-minded underground artists from around the world. This year, we’re excited to welcome Anna Sailamaa from Helsinki, Finland; Jamie Coe from London, UK; Jean De Wet from Cape Town, South Africa; and publishers Kuš! Komiksi from Riga, Latvia; and Nobrow from London, UK. These artists will share their unique artistic perspective at “International Comix Night” at the central location of the Seattle Public Library on Monday, November 10th. At the festival itself, not only will you continue to discover exciting new comics, zines, and small press publications, but you can also check out animation from the Seattle Experimental Animation Team, a silkscreen laboratory with Fogland Studios, the “landscape/heartbreak” walking tour with poet Michelle Penaloza, whispered haikus from poet Elissa Ball, a comics treasure hunt around Washington Hall, and many more ways to experience the vibrant comix and arts community in Seattle. The Seattle Central Library, 1000 4th Avenue. Joe Bar Gallery, 810 E Roy St.
Fantagraphics Gallery and Bookstore, 1201 S Vale St. The first 50 attendees through the door at 11:00 AM will receive a FREE swag bag valued at $40. Washington Hall, 153 14th Ave.
Central Cinema, 1411 21st Ave.
Elliott Bay Book Company, 1521 10th Ave. The Seattle Public Library – Capitol Hill Branch, 425 Harvard Ave E.
Be sure to visit our friends at Short Run right here.